Production Company: Playmates Toys, Inc.
Countries/Regions Available: Playmates Toys distributes toys in over sixty countries. 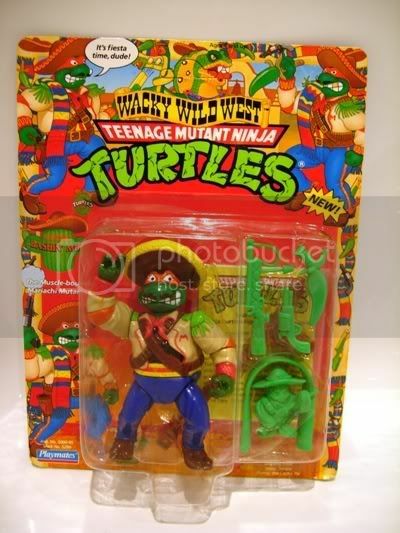 Details: The TMNT toy line has seen many releases starting in 1988 and continuing into the present. 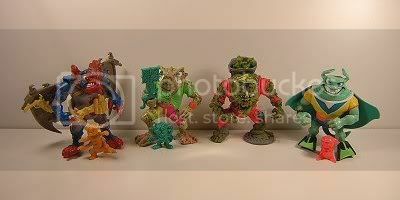 Nineteen ninety was an especially fun release with many accessories included with the basic figures. 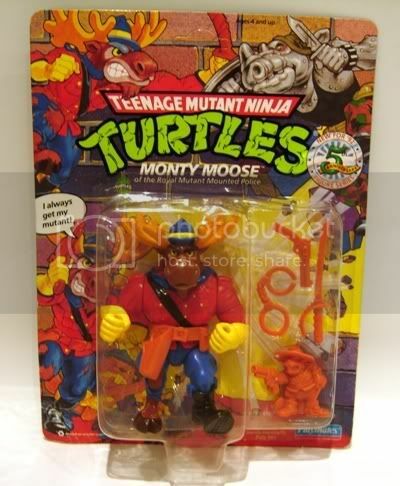 It was a 90's toy release that had a 1980's feel to it. 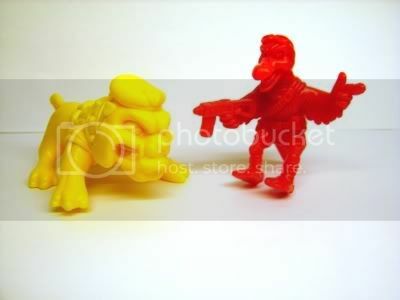 Four of the common basic figures had mini-figures included with their accessories: Muckman (Joe Eyeball), Napoleon Bonafrog (Mutant Fly Friend), Ray Fillet (Fish Stix), and Wingnut (Screwloose). Here's a look at the basic figs and their companions. 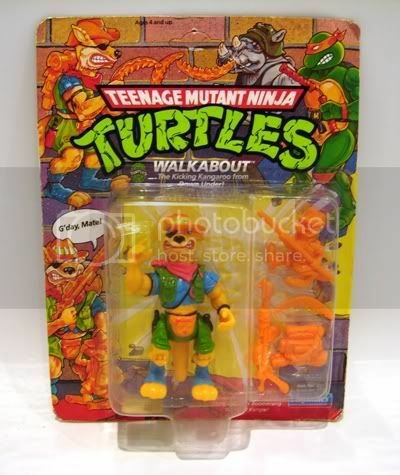 For a look at the packaging used for the 1990 release, check out Ninja Turtles.com, linked to below! 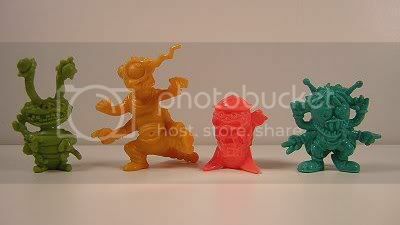 Four less common figures from the basic assortment had companion figures. Here's Kangie and Bob in all their glory! 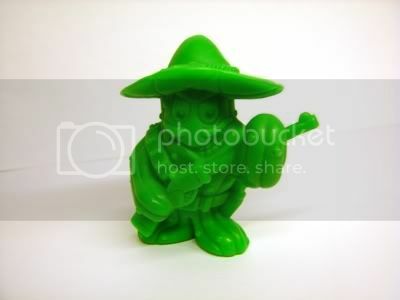 In 1993, a figure called Scratch (the crafty crook cat no less!) was released with the companion figure Jail Bird (the swindlin' sidekick!). This figure is extremely rare and a carded version can fetch hundreds of dollars...hence we cannot bring you an image! Outside of the basic assortment, various companion figures could be found. 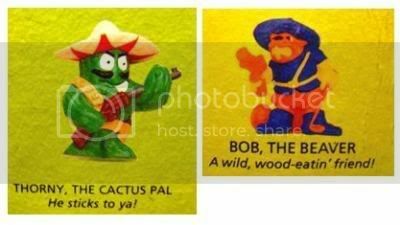 In 1992 Bandito Bashin' Mike was released as part of the Wacky Wild West range...and his sidekick was a cactus! Here he is - Thorny the Cactus Pal! 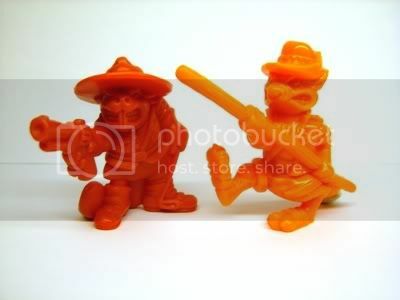 Back to 1991 now and two figures from the Mutant Military range were lucky enough to be accompanied by mini-figs! 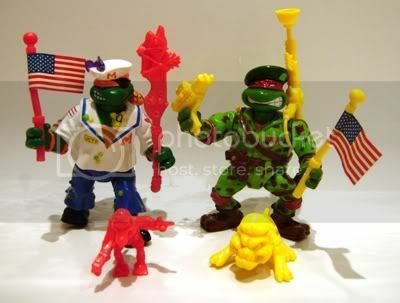 This time it was Raph the Green Teen Beret and Midshipman Mike! Here's the close up, Biting Bulldog Buddy and Sewer Sea Gull! Lastly comes a strange one, a turtle part way through the mutation process! This little guy came with the Mutations series first relesed in 1992 and the Retromutagen Ooze canisters in 1993 and even glows in the dark! Were we supposed to paint them ourselves? Was it just for marketing purposes? Who knows, but we like them just the way they are - paint free. 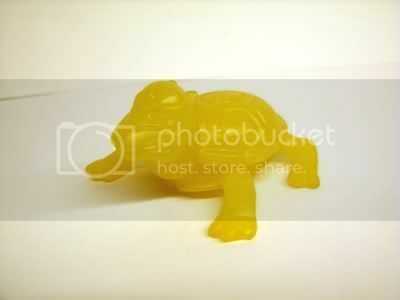 I was wondering if the yellow pre-mutated turtles is real? I never seen any in any other color before. 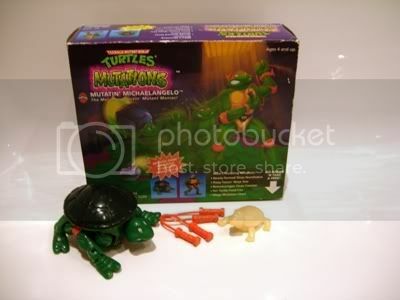 The pre-mutated turtle minifigs also came with/in cans of Retromutagen ooze. 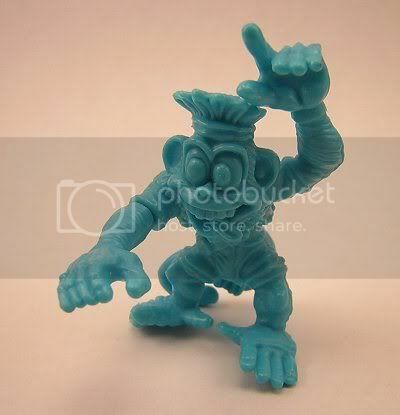 The plastic was a sort of white-ish, glow-in-the-dark colored plastic. 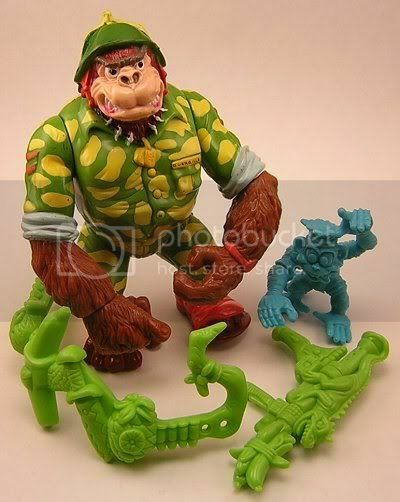 A splinter version came there as well. Thank you in advance for your clarification...Dude! This entry was made by a collector named Matthew Fitz. Unfortunately, I haven't been in touch with him in several years, and I've never owned the figure in question myself. So I'm not sure whether it is GITD or not. It's possible that it's simply made of white, semi-translucent plastic like many GITD figures and that it's not really GITD. I'll ask over at the LRG forums. I think they will certainly know the answer. Sorry if this entry misled you! I don't think that figure is actually yellow; I think it just looks that way in Matthew's picture.